Buy Liqua eLiquid - Apple 30ml in Melbourne, Australia. Free Delivery* and Discount. 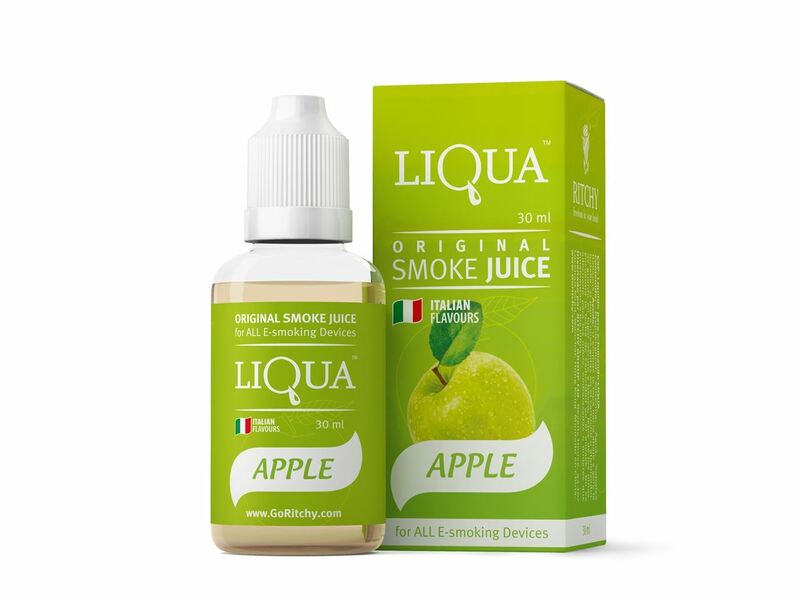 So what is Liqua eLiquid - Apple 30ml? As great as "Grandmother's hand crafted apple pie", this flavour reflects the freshness of a ready to eat American Red Delicious Apple, complimented with a delicate yet adjusted flavour, and a fantastically sweet smell. Furthermore, it can be delighted for the duration of the day by all and not restricted to only the apple lovers just! E-liquid Apple reflects the freshness of American Red Delicious Apple assortment, which is portrayed by a sensitive and subtle flavour with a charmingly sweet aroma. Due to this, it can be appreciated all day by everybody including smokers that are unwavering to tobacco flavours. LIQUA’s full range of tastes are designed carefully by those who really know what theyshould be – the most professional flavorists from Italy. That means LIQUA’s Tobacco taste is truly right - as fresh as natural leaf Tobacco. LIQUA Apple flavor is as juicy as a real green apple, and LIQUA Coffee – tastes as good as what you’ve got in your morning cup.